Choosing the right CRM system is more challenging than ever. There are literally hundreds of potential tools out there with different prices and functionalities. That puts a lot of pressure on sales directors whose responsibility is to get the best CRM software for their business. Make the wrong decision, and you could be putting your sales team at a disadvantage. The below actions should help you make the right decision when choosing a CRM solution for your business. Whether you’re just starting to build your sales processes or are simply changing your Customer Relationship Management, the first consideration should always be your immediate need. Those extra features might seem like something that would be a great addition, but if your team doesn’t need them, is it really the best use of your budget? Your CRM should provide an extensive contact management feature. This isn’t just a case of recording your customer data, but also offer the right solution to search, group, filter, and add relevant documents directly to contacts. 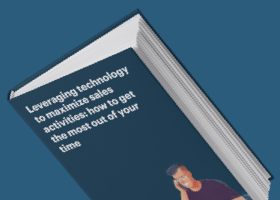 You could look at the raw data and try to figure out exactly what your sales reps are expected to bring in this month, but that takes far too long. Pipeline management is a necessary feature as it provides a quick visualization of your sales funnel and how leads progress from one stage to the next making forecasting incredibly simple. You need to know how your team is doing as a whole, and how they’re also doing as individuals. Comprehensive reporting and analytics help you identify who needs some extra coaching and again helps with sales forecasting. It’s easy to get caught up in all the advanced features offered by CRMs. To think you need advanced sales and marketing automation, follow-up analytics, call center tracking, or referral tracking before your business actually needs them. Drill your goals down to the most basic level, ask yourself what achieving that goal entails, and pair the action to CRM features. The goal might be to respond to inquiries faster. So you start there, and work backward by asking the question “how”. Ask that question 2-3 times and you should find yourself with an actionable goal which you can tie to a CRM function. The sales director is often the person who makes the final decision on the CRM. And it’s all too easy for them to make a decision on what they think the team needs. But not involving the team in the process of choosing a CRM often leads to more challenges with adoption later down the line. When you’re figuring out what CRM you need, you should be first talking to your sales team. Ask them what features they need to help them perform their duties more effectively and then pair their needs with the different services and their features. This way, you’re not only going to get the best CRM software for your needs, but your team will adopt it a little quicker as it fills the gaps in their processes. When making any purchase, be it physical products or software services, read impartial reviews online. Getting the feedback from peers is key in finding the services with the best customer service, features, and that are easiest to use. G2Crowd to see how others in your position are using the tool and to get a more unbiased opinion on the tool. Some websites, like G2Crowd offer comparisons based on data from reviews. If you’re looking, for example, to compare HubSpot CRM with other CRM tools you can see what users have to say about each of them, compare features, etc. Use these services to get a better insight of how people are using the tool you’re looking into and how it’s helping solve their pain points and problems. If you have contacts who work in other companies, ask them what solution they use. See if they can provide an in-depth explanation of what works and what doesn’t. But don’t overlook the next step and think that your peer review is enough. There are certain parts of the CRM that’ll only be properly explained by an expert at the company you’re considering. At this point, you’re now looking to round out your knowledge of the tool and better understand how it fits with your needs. If there are any specific, unusual industry needs, also be sure to bring them up here. This is the time when you can really get the inside track on what each tool can do. A couple of times I’ve mentioned how you should focus on the here and now. Look at your company’s needs and budget today to ensure you get a tool you can not only afford, but that also offers what you need. However, if you do make the right decision, you’re soon going to progress beyond that CRM. You’re going to need some of those more advanced features that come with the higher price point. You can either completely switch CRM at this point, but I wouldn’t advise it. That’s an expensive, time-consuming process. One which will likely see your sales team’s productivity decline. Instead, when you’re choosing your CRM take a look at the higher priced tiers. Talk to the vendor and ask what happens once you outgrow the price point offering you’re considering. You want a CRM that can grow with your business. One which allows extra bolt-on services to be added on an ad hoc basis, or simply up the features offered should you get to a point where the higher price point is necessary. So yes, do keep one eye on the here and now. However, also be certain to keep one eye firmly on the future and how the service will help you meet your goals when you’ve grown into the next stage of your business. I opened this piece by saying this is a huge responsibility for the sales director. And of course, with the responsibility comes a lot of work. However, your CRM is going to form the foundation of many of your other sales processes. Build a solid foundation and you’ll find growing beyond your current business goals far easier. Dan joined HubSpot as a member of the original team in May of 2007, and has led the recruiting, training, and growth of HubSpot's sales team with vigor. He is also a regular speaker, writer, and coach to those who yearn for inbound success.